Take a moment to remember science class. Every day opens with a new lesson and ends with a new experiment to try out. Very young children are introduced to science through observation and safe experiments like growing a bean sprout, watching a butterfly transformation, and playing with the light refractions in a prism. As we get older, the school system begins to introduce more reactive, but still fairly safe, experiments like the vinegar volcano and testing things with litmus paper to identify their PH value. Finally, as kids enter middle school, you can start to trust them with actually dangerous substances, playing with chemicals and bunsen burners. Naturally, schools work hard to keep kids safe during this both vital and very interesting phase of scientific education. I’m sure you remember the big plastic aprons, hot-pads, test-tube holders, and of course, the enormous bulky safety glasses. At the beginning of every experiment, children and teens line up to take their safety glasses from a big box of scratched up plastic frames that are almost always oversized. Keeping them on is always a hassle, as they are too big for most students and messing with them often leads to taking them off before the experiment is over. 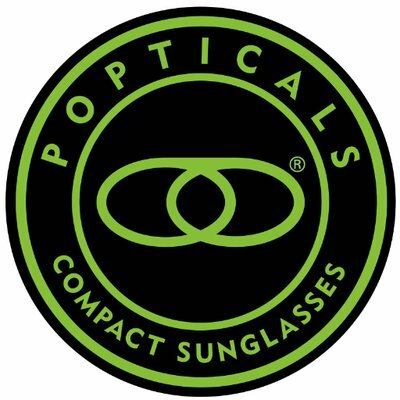 This is particularly problematic for kids who already wear glasses, as now they have to stack the safety pair over their normal prescription eyewear. No matter how much the child loves science, the stack gets uncomfortable, weighing heavily on the ears and nose while at the same time tending to slip off every time these children look down at their work. Most kids tough this out, opting for the strap-goggles to try and solve the problem or simply dealing with continuously re-securing their safety glasses. After all, science class is fun and they wouldn’t dream of missing the group experiments over some piece of plastic eyewear. It’s not uncommon to see kids trying all sorts of things to keep their safety glasses on while they work, and the experimental attempts only increase if the child loves science class and wants to be able to focus on their real work. They could secure the clunky safety glasses to their own eyewear with tape, fashion a makeshift back-strap if goggles aren’t available, or even try to use hair decorations like clips to hold the glasses in place. But what if you could make this hassle easier for your little scientist? If your child enjoys science class, now is your opportunity to help them not only enjoy it, but pursue it as a valuable and rewarding career. This hassle with the safety glasses is likely to be distracting when they’re trying to work, irritating, and to a certain extent discouraging from taking on more science classes and extracurricular science activities. Fortunately, there are a few different things you can do for your child. With a relatively small investment compared to what we normally spend on video games or children’s sports, you can get your child personalized and prescription safety equipment for their science class so they no longer have to work with the one-size-fits-all distractions. When your child has safety gear that fits them comfortably, they will be better able to focus on science and enjoy experiment time more. 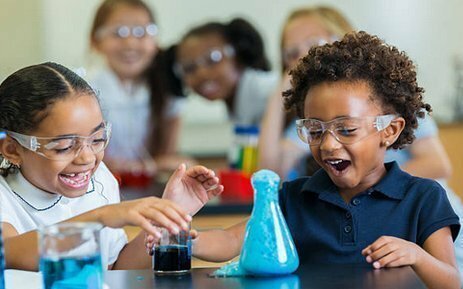 If your child is quickly becoming an independent scientist, excited every day they go to science class and eager to start experimenting after school as well, there’s every reason to believe they will make great use of a personal science safety kit that is sized to their proportions that can be taken to school and even worn at home during backyard and garage experiments. While no one actually likes the one-size-fits-all (but usually too big) safety glasses and goggles available in science class, your little scientist should have safety gear that actually sits firmly on their face without the risk of slipping out of place in the middle of an experiment. If they already wear glasses, the best way to achieve this is with prescription safety glasses. While these are usually marketed to adult science and industrial professionals, you can also get them in child and teen sizes for exactly this reason. 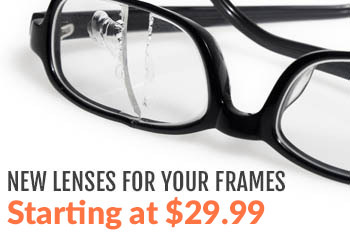 Prescription safety glasses feature a wrap-around design to protect the entire eye area and the lenses are made of incredibly tough plastic assured to resist both chemical splashes and high-force impacts. One of the silliest parts of school science class is the size of the protective aprons. Almost all of them are adult sized, requiring children to fold them in, tripple-wrap the straps, and the smaller kids still have plastic dragging on the ground. You can make sure your child is actually well protected rather than simply wearing a floppy plastic sheet by sourcing them a plastic apron that fits their body size, plus a little room to grow, and secures reliably in place. This will ensure that everything from sharp objects to hot test tubes to bubbling chemicals stay clear of their clothes and skin. Sometimes safety glasses aren’t protective enough. If a substance is particularly volatile or if a variable reaction is expected, it may be better to work with a complete face shield. This clear plastic shielding plate should come with a head strap that fits to your child firmly so that it will not slip loose or fall down during an experiment. Fortunately, the face shield doesn’t need to be prescription because there will be plenty of room for the prescription safety glasses that fit snugly to your child’s face. While the plastic apron protects your child’s clothes and body from harm, science is all about doing things with your hands. Pouring test tubes, moving apparatus elements, taking measurements and then collecting notes all leave the hands active and exposed. The best way to keep your child safe is to find them some comfortable protective gloves that fit well enough not to impair their dexterity with floppy over-sizing. All of these items can be easily washed, folded tightly, and stored in a small section of your little scientist’s backpack for every day that they have science class. You can even get a special carrying case, making transitioning and safe storage after an experiment that much easier. It’s perfectly reasonable to get excited about encouraging your child’s love of science, but it’s also important to check your work before making any final decisions. Prescription safety glasses come in a lot of different designs and you’ll want to check with your child’s school before purchasing to ensure that they will accept your decision in the classroom. Explain to the science teacher that you’re getting your child their own safety glasses and ensure that they will be allowed to wear them instead of the clunky school-provided pairs in the classroom. Most science teachers are very cool about this, but they might have specific requirements like percentage of the face covered or want to see proof that the glasses are rated for lab safety. With a little discussion and cooperation, you’re sure to find a solution that allows your child to use their new prescription safety glasses in the science classes they love. For more information about prescription safety glasses, contact us today!